The engagement ring, while not a new trend to the Czech Republic, certainly got a much needed boost after the revolution of 1989. As the borders opened and globalization slowly crept in, the trend that has dictated a man should save three months of his salary for an engagement ring is alive and well in the Czech Republic. Setting your loved ones heart a flutter with a single diamond is no easy feat and HALADA knows this. 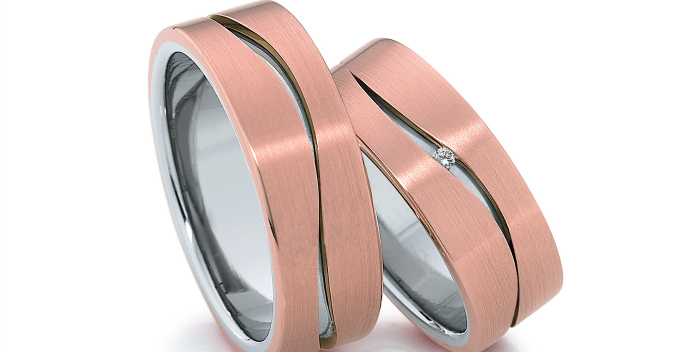 For those men looking for the perfect wedding or engagement ring the shop you choose may reflect the prices. For example, the HALADA shops located on Pařížská and Karlovy Vary cater to a more upscale clientele while those in Brno and on Na příkope in Prague, are more wallet friendly. “You can take a piece of soap and make a print of a ring that your girlfriend currently has; all you need to do is press down. Or you can take paper and pen and draw the inner circle of the ring on a sheet of paper.” Men will at least be happy to know that if the soap print or paper tricks aren’t accurate, HALADA will resize your ring for no extra charge! For those concerned about quality, you can breathe a sigh of relief; the family (who, for the record, are all goldsmiths) pride themselves on the quality presented. “We oversee every piece of jewellery made for our stores and the production is only done in Europe [the Czech Republic and Germany respectively],” Eric says, “Each diamond ring is given the HALADA certificate stating that the quality and specifications of the diamond are accompanied with an IGI, GIA, or HRD rating.” All the HALADA diamonds, it should also be mentioned, come from conflict-free zones. To keep up with trends and the changing demands the Haladas travel to Basel World, a jewellery and watch exhibition in Basel, Switzerland, to, “meet with suppliers and look for new jewellery brands,” Eric says. “It doesn’t necessarily mean that we get someone new every year but we definitely look around at the new brands and trends.” This proactive stance is why HALADA is considered by many to be one of the premier jewellers in the Czech Republic. Along with a drive for finding the newest brands and bringing them to the Czech Republic, the Halada family are all trained goldsmiths and carry this knowledge into every aspect of the store. In fact, HALADA has their own goldsmith workshop where it creates its own collections and customers can have pieces made to their own tastes using only the highest certified gemstones. “Emphasis on quality, innovative design, craftsmanship, unique, one-of-a-kind pieces, and most importantly customer service,” is how Halada, describes the family owned and operated company. This ethos is what has allowed HALADA to continue to build its business on the Czech market for over 20 years. Now run by the second generation of Haladas, the company boasts four stores in the Czech Republic and a portfolio to make many a competitor envious. Internationally known names like Mikimoto, Schoeffel, Niessing, and Pomellato continue to bring both time honoured traditions as well as new world craftsmanship to the Czech market. HALADA may not have the international brand recognition of the Cartier or Tiffany’s of the world, but they are a company with a reputation of providing the best, “We want people to feel comfortable,” Eric says, and comfort and quality is something you can count on. What has been your experience shopping for an engagement ring in Prague? Heather O'Brien is a freelance fashion and lifestyle journalist covering trends, as well as new and emerging talents in the Czech Republic and the CEE region. She has lived in Prague since 2008.